Some 35 US choral directors will arrive in Cuba in May to participate, along with Cuban colleagues, in a symposium that will continue exchanges in this field started in 2011 between the two countries. The symposium will take place in Havana from May 28th through the 30th, and will include workshops, concerts, meetings and visits of representatives of the US Association of Choral Directors to the Higher Arts Institute and the National Music School. Participating in the workshops will be seven of the most important Cuban groups, among them the National Choir, the Exaudi Chamber Choir and Schola Cantorum Coralina, the Cubadebate Web site reported. This visit constitutes the second stage of exchanges that have developed interesting musical bonds between Cubans and Americans. 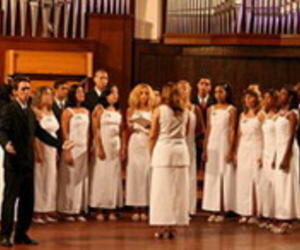 Between February and April, several Cuban choral directors participated in regional conferences of the neighboring Association, in cities like New York, San Francisco and Chicago. On this occasion, the US artists will have the opportunity to begin preparing pieces from their country to include them in the repertoire of local choirs, after Cubans included works of the Caribbean island in the choirs with which they held exchanges during their visit to the United States. In recent years, US musicians, choirs and university dance and theater groups have visited Cuba, particularly the Saint Paul College choir, the choir of the University of Yale, and the New Amsterdam Singers of New York.